I made a few fake cubing videos last weekend. Here they are. No update to this page in over two months! I’ve been setting more records, though: I’m finally sub-20 (on a good average). I worked on a speed BLD guide for two weeks (it’s finally up! ), after working to get the record. And I wanted to get the third official sub-2 BLD! Oh well; hats (center caps?) off to Mátyás! And congratulations to Vandenbergh (no offense meant to Fung)! I know I haven’t updated much, but I’ve had a lot to do (and still do). 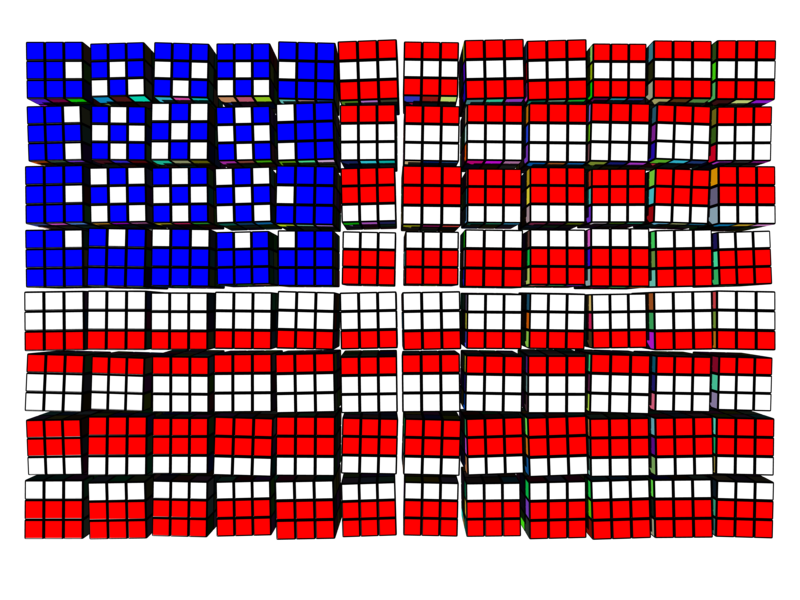 I’ve also set lots of records: 3x3x3: 15.49, 3x3x3 Average: 20.74, Computer 3x3x3 Average: 21.83 (almost 20.75), 3x3x3 OH: 30.30, 3x3x3 OH average: 46.23, 3x3x3 BLD: 1:40.95, 3x3x3 BLD average: 4:11, 42 cube marathon: <21 minutes, 2x2x2 BLD 27 seconds, and speed BLD: 19.69 seconds. The high quality video is at a corresponding URL; it’s 70 MB, so only download if you really want it.